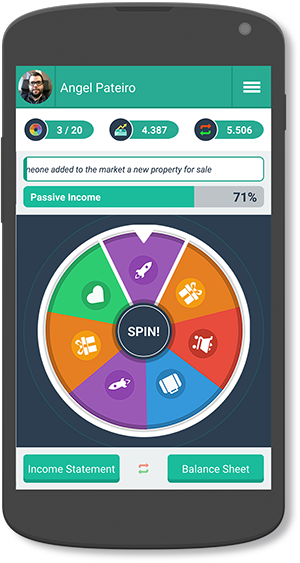 Play to improve your finances, build passive income and get financial freedom. Play Now on Android. Its Free! Play along different Financial Levels. 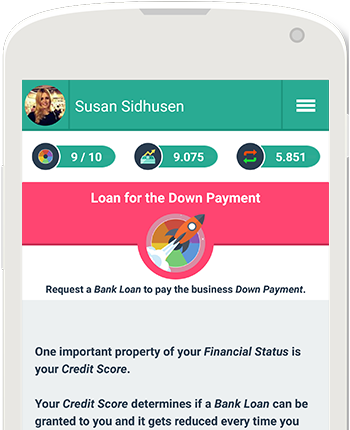 Play and advance through different levels of financial status. From financial survival up to having financial wealth. Different challenges, investments and business opportunities are waiting for you on each level. Investing is the only way to be financially free. Learn how to do it and what you should look for on business opportunities. 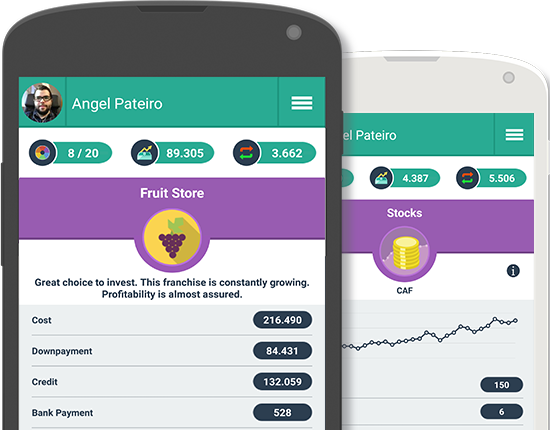 Put into practice the main investment principles and trade on the game’s stock market. Get to know the do’s and don’ts for Healthy Finances. Get tips and recommendations for safely using and managing your money and investments. Learn the concepts and ideas that will make you less dependent on your income and avoid being a victim of the financial system by taking advantage of it. It’s all about Passive Income. The only way to win the Money Race is by building a secure Passive Income. 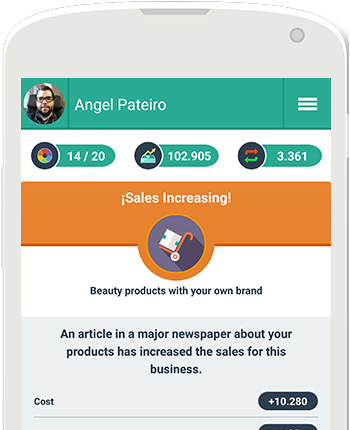 Generate a constant revenue without having to work for it. How? Investing your hard earned money and making it work for you! Try to get all the Financial Achievements. Become a financial guru unlocking the multiple achievements and secrets on the game. Can you get them all and have your money and finances completely controlled? Play with other people around the world. 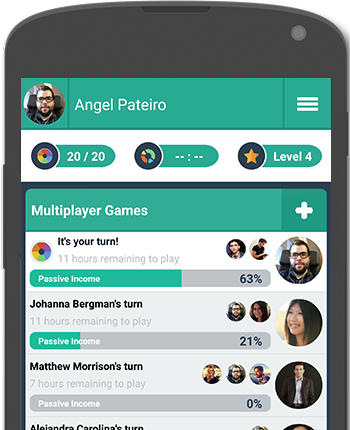 Join a game with other players and compete with them to see who reaches Financial Freedom first. 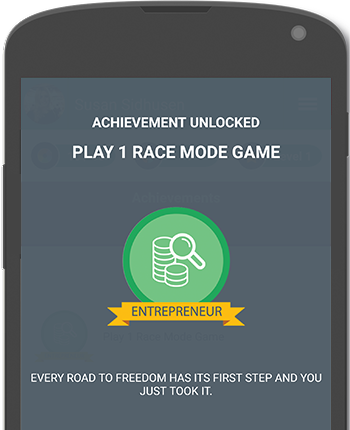 You can also invite and challenge your Facebook friends who are playing Money Race and play with them. 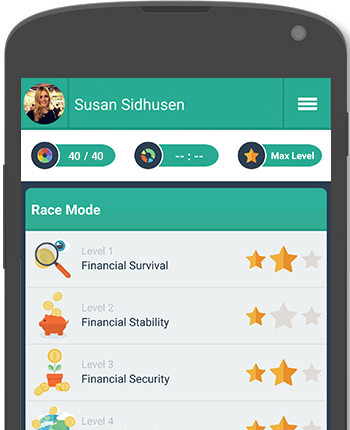 Play Money Race, the best Money Game for Financial Education and Money Management.